as played by THE WAR DOCTOR! Ever wondered what might have been? What if The War Doctor had been an earlier incarnation? 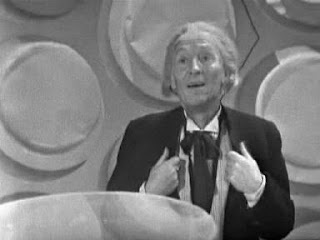 What if he said that immortal speech at the end of The Dalek Invasion Of Earth? Well at Gallifrey One this year, as part of his stage talk on the Sunday, legendary actor Sir John Hurt did just that! The First Doctor - as played by THE WAR DOCTOR!